For several years now, actresses in Malayalam films have had rather limited roles. This year was no different. Except for a few performances, actresses were limited to roles where they had to romance and worry about their heroes and the families. The two actresses who stood out this year were Priyanka Nair, as a victim of communal riots in Gujarat, and Praveena, as a smart woman in Adoor Gopalarishnan's Oru Pennum Randaanum. The two performances won the honours at the Kerala State Film Awards. Check out the most impressive Malayalam actresses of 2009. As Zahira, the victim of communal carnage in Gujarat, Priyanka Nair came up with a scintillating performance in T V Chandran's Vilapangalkkappuram. Through her character, the film showed us why the nation should be cautious that such things never happen again. Her performance won her the best actress trophy at the Kerala State Film Awards. Priyanka, who shot into fame with the Tamil film Veyil, will now be seen in Rosshan Andrrews' Ividam Swargmanu. In ace filmmaker Adoor Gopalakrishnan's Oru Pennum Randaanum, Praveena played the protagonist Pankiyamma. She is a beautiful woman, who makes men fight for her attention and love. Praveena added a magical touch to her role and made it look very convincing. Rarely does a female character get such a powerful avatar in Malayalam cinema these days. She won the Kerala State award for the second best actress for this role. She could easily qualify as the beauty with the brains in Malayalam cinema. Padmapriya has done some good characters on screen earlier and in Pazhassi Raja, she had a fabulous role as an adivasi warrior called Neeli. She fought like a cheetah as well as romanced Thalakkal Chanthu, played by Manoj K Jayan. There were rumours that Padmapriya was not happy with her role initially, but what was eventually seen on screen was very good. In the first half of the film, Sweta played the old, shady mother-in-law of the title character, Manikyam. Her 'faded' look added to the charm of her character, Cheeru, Paleri's neglected, old prostitute. But in the flashback scenes, Sweta Menon looked her glamorous best as a sensuous young woman. 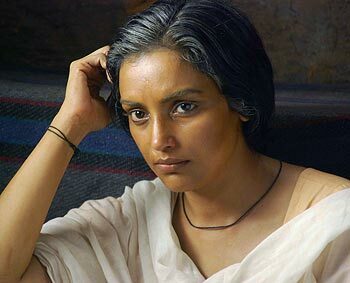 Sweta Menon showed her talent in Madhu Kaithpram's Madhyavenal as well, where she played the protagonist Sarojini, a communist. It was a role that launched Ambika's illustrious career, and newcomer Archana performed it with great confidence and charm. She looked and behaved like a dreamy-eyed maid, Kunjimalu, who falls for the charms of a rich boy. Neelathamara revolved around Archana's character and she performed like a seasoned actor. Last heard, the anchor-turned-actor has been signed to play the female lead in director Jithu Joseph's Mummy & Me.